Teacher Kidnapped by Husbands mistress in Murder Suicide.. This is a shame this had to happen to Sandra; All because her Husband didn’t honor the vows they made to one another , once upon a time. Probably never meant them, which is the sad thing about her life being taken so abruptly and unnecessarily. He’ll get to live his life and move on to another while both these women are now gone. I’m certain there children will hold some type of resentment towards there dad for a while if not forever. I wouldn’t be able to look my father in the face, without wanting to punch him in his. Family members of a local school teacher are grieving after police say she was the victim of a murder-suicide at the hands of her husband’s mistress. 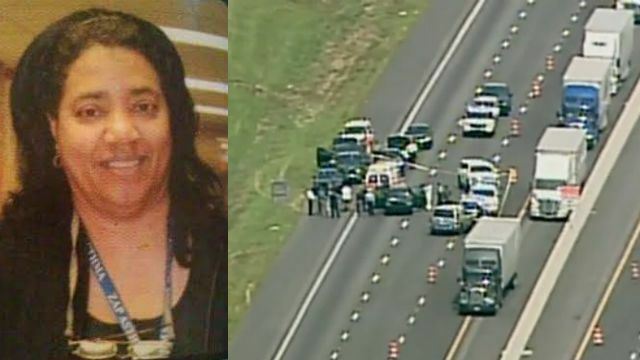 Sandra Barnett, 59, died after a wild chase that ended in Alabama. Barnett is the wife of former NFL player Buster Barnett, who was drafted by the Buffalo Bills as a tight end in 1981, according to Clayton County police. Barnett worked as a special needs teacher for McNair Middle School in DeKalb County. Channel 2’s Amy Napier Viteri spoke to a friend of Barnett’s who was on the phone with her when the attacker showed up. Ruby Chester said Barnett was home when a woman who had previously been involved with Barnett’s husband showed up at her door on Gracewood Park Drive. Over the phone, Chester says she heard the woman demanding Barnett let her in and threatening to kill her. “She said, ‘Open this door before I kill you. Open this door or you’re going to die,’” Chester said. Chester called 911 and friends went to the home to check on Barnett, including her brother, John Brooks. Police believe Lisa Brown, a former teacher for Atlanta Public Schools, forced Barnett to leave with her in a black Dodge Durango owned by Barnett’s husband. A friend saw the SUV Brown was driving leave the subdivision, not realizing Barnett was inside. Investigators put out an alert for the SUV. Police tracked Brown’s cellphone into Alabama and Mississippi. Wednesday afternoon, deputies with the Carroll County Sheriff’s Office spotted the vehicle and chased it into Alabama. Officers said the SUV stopped on Interstate 20 and they saw Brown pull a handgun, shoot Barnett and then shoot and kill herself.